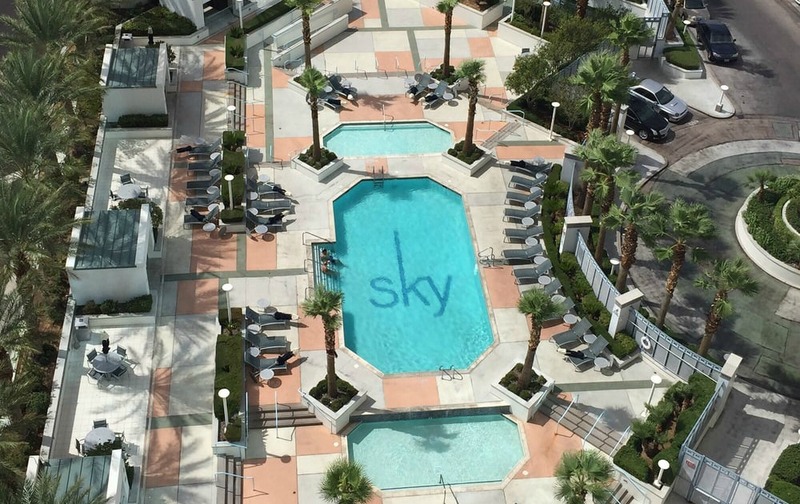 Sky Las Vegas features luxury condos in the sky, located directly on The Strip, that are available in a variety of floorplans. Sky prides themselves on designing a community to compliment your lifestyle and add convenience for stress-free living at its best. The building itself is magnificent with its blue glass exterior and white lines. It was built in 2007 with J.M. Dean as the general contractor and architectural design done by Klai Juba Architects. Where is Sky Las Vegas?